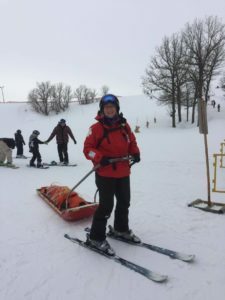 Whether you are just a beginner or an expert, a skier or a snowboarder, a day on the slopes is very exciting. It can also be intimidating for anyone who is just learning. The following Trip Safety Guidelines will navigate you through some of the key areas of preparing yourself for your trip to Snow Valley. There are many things to remember when preparing for your ski or snowboard trip. While the day will be fun, there are also some rules that must be followed. The rules are in place for a reason, primarily safety of yourself and others. Stony Mountain wants you to enjoy yourself, and also want you to be safe. Please view our online guidelines to learn about ski area etiquette, safety tips, and important hill signage. Once you are on the slopes, always be aware of fellow skiers and riders in order to avoid collisions. Know your limits. All runs, as well as the terrain park, have different levels of expertise required. Don’t bow to peer pressure and attempt a run or jump that is beyond your ability. Make sure you know what expertise level the run is marked for and only go into the areas that are within your ability. We are please to have the Canada Ski Patrol Volunteers at Stony.